Forget about Coke or other unhealthy carbonated drinks. 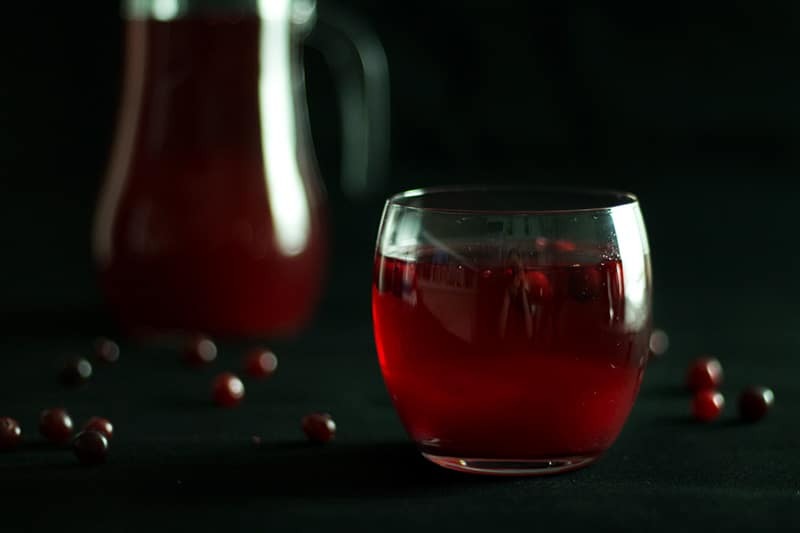 This cranberry goodness (Mors) coming straight from Russia will quench your thirst and load your body with vitamins and minerals! 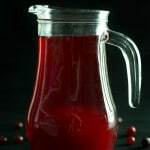 Today we are heading to Russia to taste their super healthy cranberry drink called Mors. Yes, you heard me right. 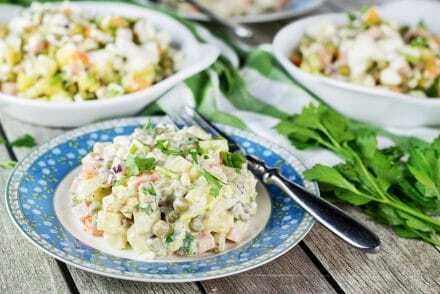 The country which is stereotypically known for people drinking vodka instead of water every single day can offer something healthy too. Isn’t it surprising? Well, sometimes you have to be sober to feed your pet bear, clean AK47 or things like that, you know. Mors is one of the oldest Russian drinks. For the first time it was mentioned way back in the 16th century in the book of rules “Domostroi”. It can be made from different berries like cherries, currants, lingonberries, blackberries or other. However the most popular version is the one I’ve made – with cranberries. You can use either fresh or frozen cranberries for this drink. I’ve used fresh ones because it’s still cranberry season in my country. You can get tired of naming all the countless health benefits these berries have. They are rich of vitamins C, P, PP, B1, B2, B6, dietary fiber and minerals such as calcium, magnesium, manganese, iron, potassium and so forth. You got the point. They are freaking GOOD for your body. I am writing this post with a quart-sized jar (1 litre) of this goodness in my hand. Because that’s what tough Russian guys do! They don’t need no childish tiny glasses. Unless we are talking about vodka. I am halfway through my jar now and it’s so damn refreshing. Not that I didn’t know that already. My mother has made this Mors countless times. It’s the perfect summer drink because it’s not too sweet. You won’t quench your thirst with sweet drinks. 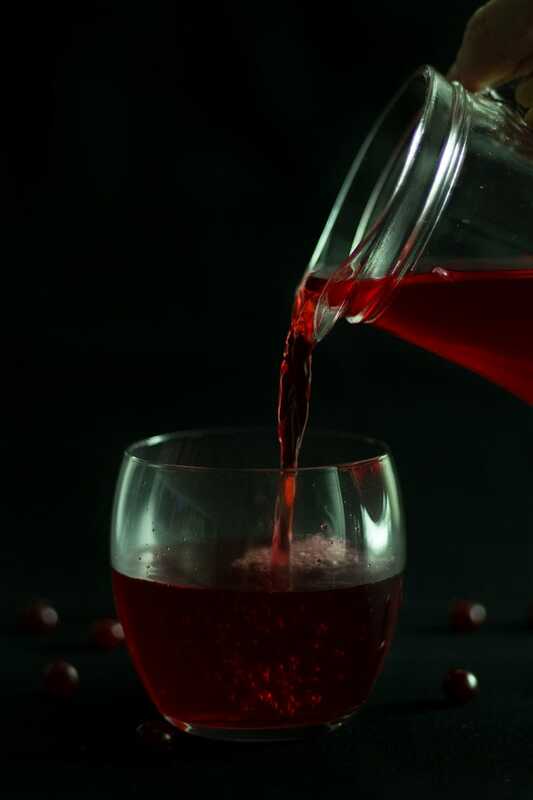 This cranberry Mors is gently tart, however you regulate the sweetness by yourself by deciding how much sugar to add. I love my Mors more tart than sweet. I am not one of those guys who will teach you how to live, what to eat and what to drink. However, it’s pretty obvious that this cranberry drink is healthier and kills your thirst better than Coke. I love Coke too, just stating a fact. Hope you will love it as much as I do. 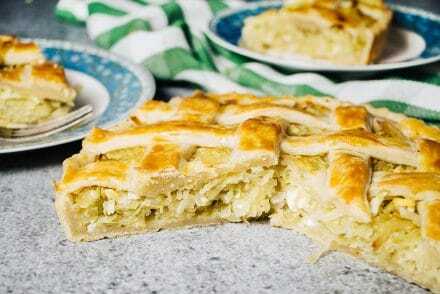 Try Mors with a slice of legendary Russian cabbage pie. To say that this combo is heavenly would be an understatement. 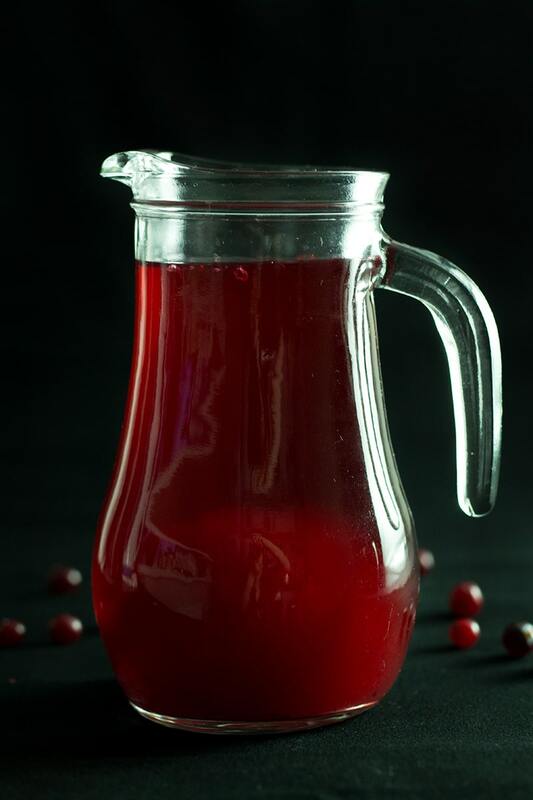 This Russian cranberry drink (Mors) can be made with either fresh or frozen cranberries and is 10 times healthier than any carbonated drink out there! 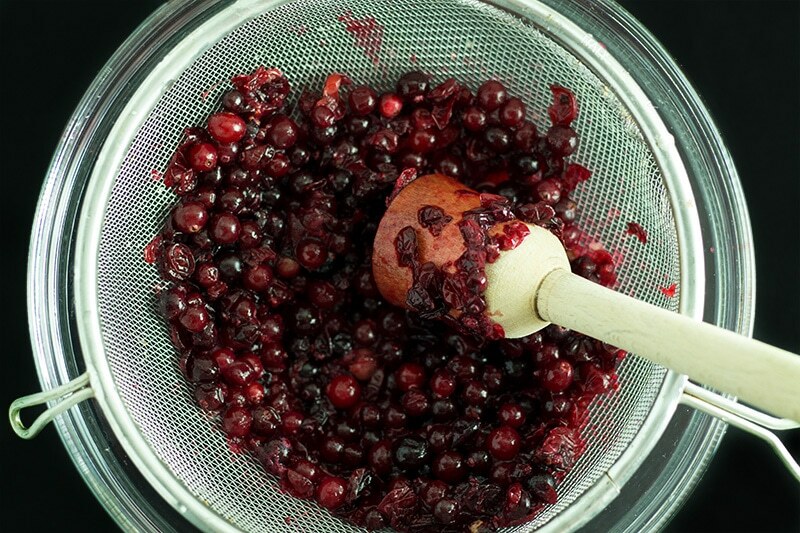 Place fresh or frozen cranberries in a sieve. 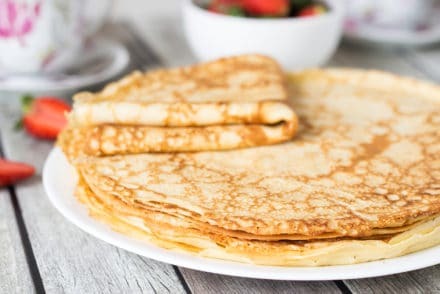 With a wooden pounder or a spoon (it can be a simple spoon also) mash berries against the side and the bottom of the sieve to get as much juice as possible. Set the juice aside. Boil water and turn off the heat. Add sugar, mashed berries, close the lid and leave for 30 minutes. Strain the liquid through the sieve lined with a cheesecloth. Lastly, mix the cranberry juice with the liquid. Taste and add more sugar if needed. Enjoy! I have just discovered your breathtakingly beautiful ‘Cooking the Globe’ and it is hands down one of the best things I have ever run across on the internet. I can’t wait to try many of the recipes and I love your comments that accompany them. Who takes the photos, you or your wife? Or do you have a photographer friend that takes them? The entire presentation is an absolutely stunning effort that I hope you will continue! Thank you for your work. It has brought me joy. Hi Triesta! Thank you for such heart-warming words! We usually come up with the ideas for photos together with my wife and then she takes them 😉 I am not as good as she is yet but I’m learning!